In light of our last blog, which revealed the truth that insurance companies are not usually on drivers’ sides following collisions, now is good time to point out some of the more common and suspect ways that insurance providers can try to reduce the value of auto accident claims – if not attempt to deny them entirely. Don’t blindly trust insurers to appropriately honor your auto accident claim because the chances are they won’t, a Denver car accident attorney explains. Here’s what you should know. Odd or untraditional investigation methods – Is the insurance company relying on unqualified “experts” to lead these investigations? Or has the company seemed to misinterpret the evidence, consider odd or unnecessary “evidence” or invoked any other unconventional method to investigate the claim? If so, it may be time for claimants to do some deeper digging and consult with an attorney to find out if their auto accident claim is being subjected to bad faith practices. Unnecessarily extended claims investigations – Prolonging claims investigations is another suspect method insurance companies may try to invoke when attempting to limit payouts to claimants. This is because, by drawing out investigations, insurers may be able to leverage claimants’ financial stresses against them, getting victims to agree to lesser payouts simply because they can’t wait any longer for the full amount of compensation. 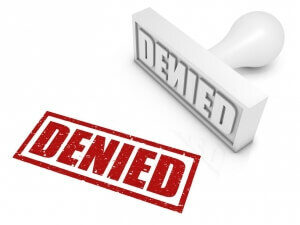 Refusals to consider claimants’ evidence – Another fishy way insurers can try to manipulate claims investigations to render decisions against claimants can be to avoid considering evidence that supports their version of events – like their photos, their witnesses’ statements, etc. When victim’s evidence is not considered in claims evaluations, it can be crucial to contact a lawyer to find out more about the options for pushing back and holding insurers accountable. Post-claim underwriting – This illegal practice generally involves altering the provisions of policies, possibly even canceling policies entirely, after claims have been issued against those polices – and without notifying policyholders. So, if you know you have been paying premiums and have certain coverage but then are informed that you don’t have the coverage or policy you thought you did when it’s claim filing time, consult a lawyer ASAP. If you have been injured in a traffic crash, contacting a Denver car accident attorney at Bell & Pollock, P.C. is the best way to protect your rights and obtain the full amount of compensation deserved for your injuries, losses and damages.